Musical themed jewellery makes great music gifts! Green stone earrings from TAF Music Gifts are set in an elegant design with a treble clef to create a musical theme. "Music earrings are exclusive to TAF Music Gifts and you will not find our designs on sale anywhere else." 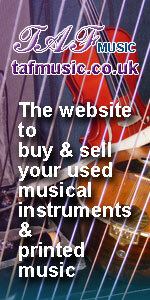 They make great gifts for musicians, family and friends. Click on an image below for details of the individual piece. There are a lot of gemstone stones with green colours and some are dyed to different shade of green. However, the most popular one is being Jade. Jade is in fact two separate and distinct minerals: jadeite and nephrite. The most expensive and desirable jadeite (Burmese Jadeite, Burma Jade, Imperial Jade, or Chinese Jade) usually comes from Myanmar (formerly Burma). There are other stones which are passed off as jade include: Aventurine quartz, Chrysoprase called Australian jade, Grossular garnet called Transvaal jade, Malaysia Jade (permanently dyed translucent quartz that may be called by its color – Red Jade, Yellow Jade, Blue Jade), Opaque dolomite marble from Asia dyed in bright colors, Prehnite, Serpentine called New Jade or Olive Jade. All of our earrings are handmade in Herefordshire UK. Products and colours may vary slightly from the picture.